Russia, the world's largest country in the world, can be found on both Asia and Europe. It is 1/8 of the world's surface and twice the size of the United States! Covering 11 time zones(the USA covers 4), Russia is a major producer of gold, silver , diamonds , oil and natural gas.The XXII Olympic Winter Games or the 22nd Winter Olympics, took place February 7th-23rd, 2014, in Sochi, Russia. What do you know about the country of Russia? Grab your camera, backpack and some of your favorite snacks and let's explore the country of Russia! There are 10 Webquestions in the complete resource. The world's deepest freshwater lake is found in Russia. It is called Lake Baikal. Russia is called the lungs of Europe. It has the world's largest forest reserves providing much oxygen to the world. There are Seven additional resources. This can be used as a one day activity or over several days if you choose to do some of the extension activities. 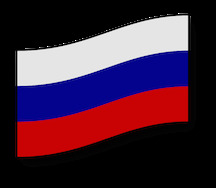 The resource can be incorporated into a unit of study on Russia. Click here to purchase the complete resource:Country in Focus:Russia(Webquest,Mapskill,Extension Activities!